I’m a precision kind of iPhone photo editor. I know when I take a picture that I’m going to leave as it or which app and which enhancement I will be using on it to get what I’m going after. A few times, I will use an app that provides the image I’m working on as thumbnails with the filters applied to get an idea how close one is over another. An app I came across this weekend goes the other way, to an extreme. 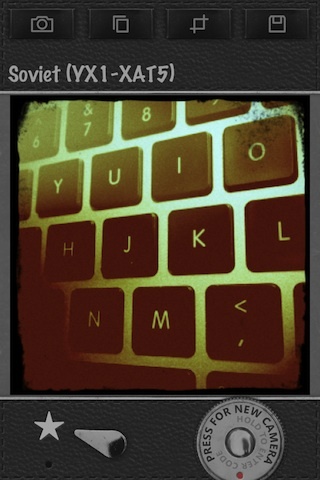 Infinicam on the iPhone is a way to be shown how a iPhone photo you took will look with a filter applied in full size. What you don’t know is what the next filter may be. Infinicam literally assembles and applies a filter in the background amongst all of it’s variables, then shows you what they created. Of course you don’t have to choose the creation, you can sweep to the next one to see what is possible in a completely random different direction. This isn’t just twenty filters applied in random order, Infinicam uses the many bits that make up a filter and scrambles, then applies for your viewing. If you prefer not sweeping through one random filter effect to the next, you can use the camera button in the lower right corner. Tap the button for Infinicam to apply the next effect. If you like the filter effect but not the frame, swipe your finger up the screen to cycle through the Infinicam frame options. If there is a camera style you prefer, there is a list available to jump to photo filters created using that as a starting point. 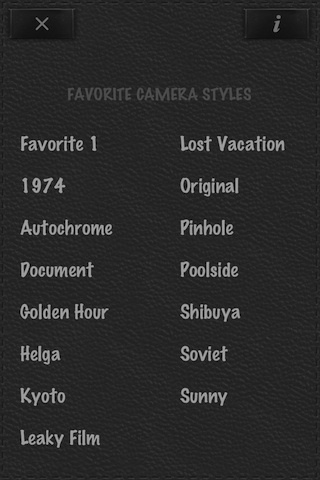 Notice that this is the area that any filters you saved as Favorites will be accessed to use again. The image you choose can be saved to your iPhone’s photo library in a variety of sizes. 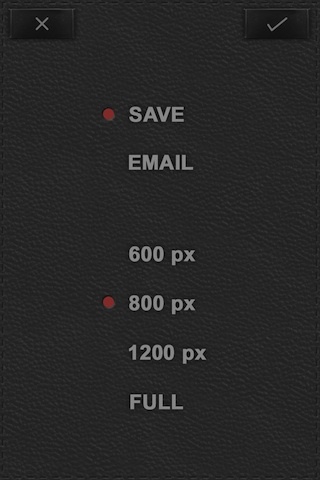 A photo taken with the iPhone and saved at ‘FULL’ was 2448 x 3264. 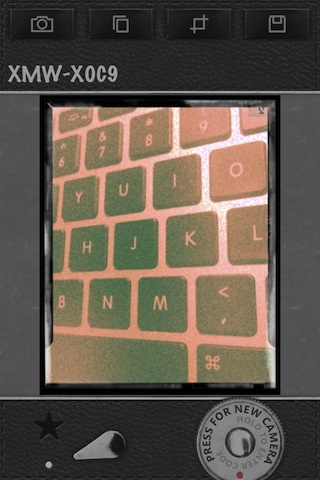 If you choose to email the photo to someone, the email includes the code of the bits that made up the filter. 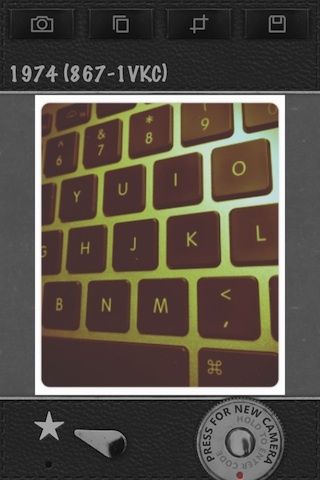 They can just insert that code into a copy of Infinicam on their iPhone to apply the same filter.